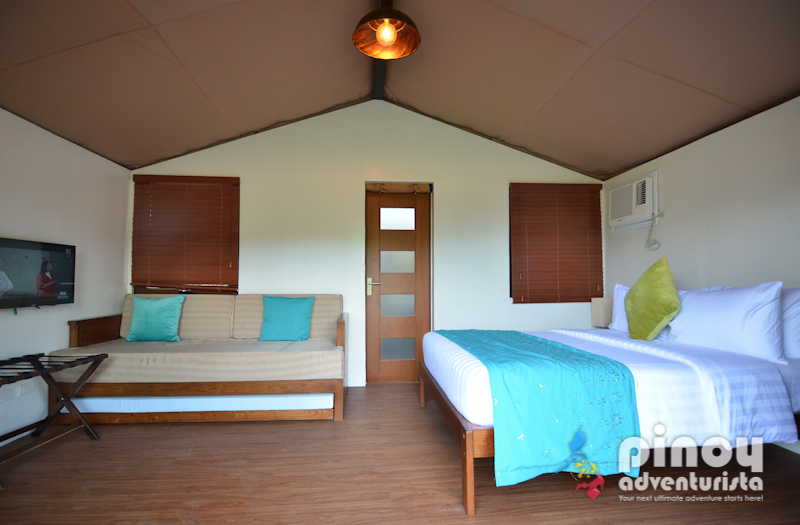 SOLINA BEACH AND NATURE RESORT: "Your Gateway to Gigantes Group of Islands!" Summer is just around the corner! Do you already have plans in mind what to do this summer? 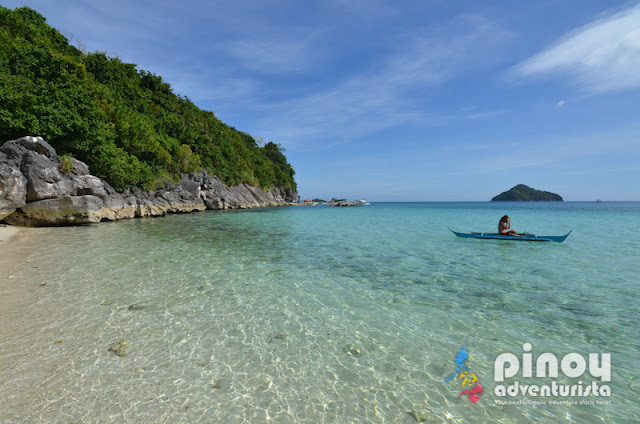 You might want to consider having an island hopping adventure in one of the best spots in the Province of Iloilo, the Gigantes Group Islands in Carles. 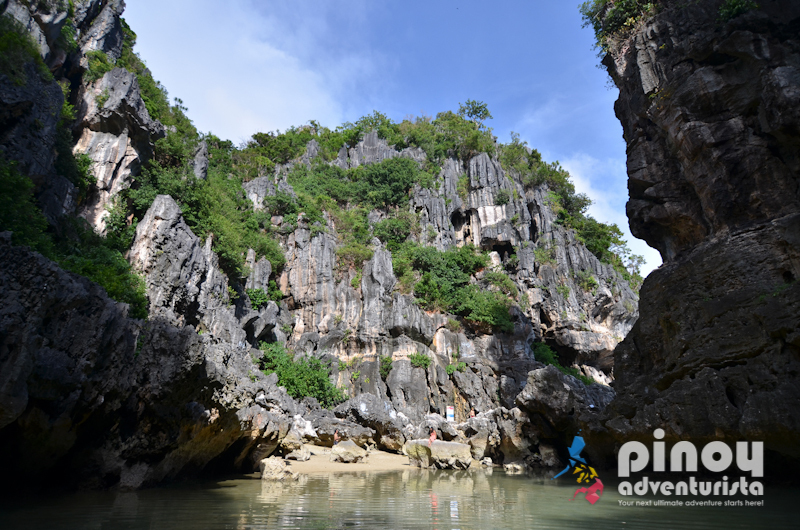 But to fully enjoy the beauty of Gigantes Group of Islands, one day is not enough. It's good if you stay in Carles for 2-3 days. Question is, where is the best place to stay while in Carles? The answer? Solina Beach and Nature Resort! 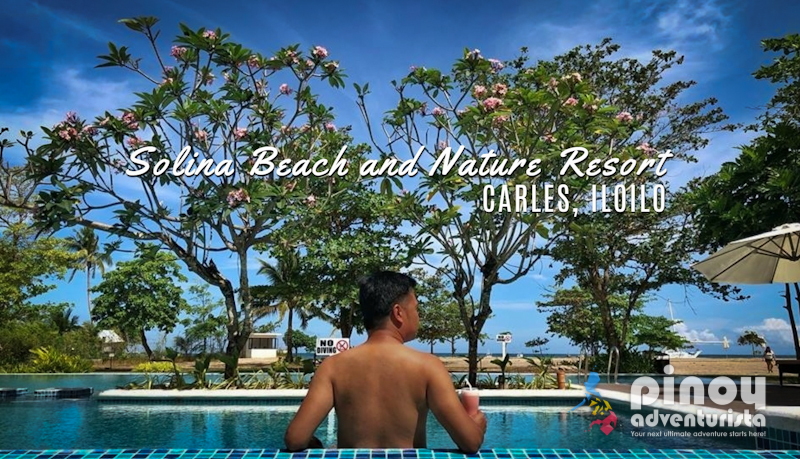 Just recently, we were invited by Solina Beach and Nature Resort to check out their newly-opened property in Carles. 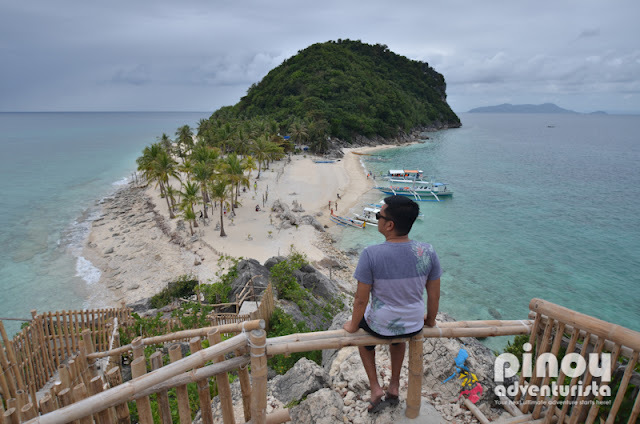 As it is very near Carles Port which is the gateway to the Gigantes Group of Islands, we also had an awesome day tour of these lovely islands. Getting to the resort is not a problem. 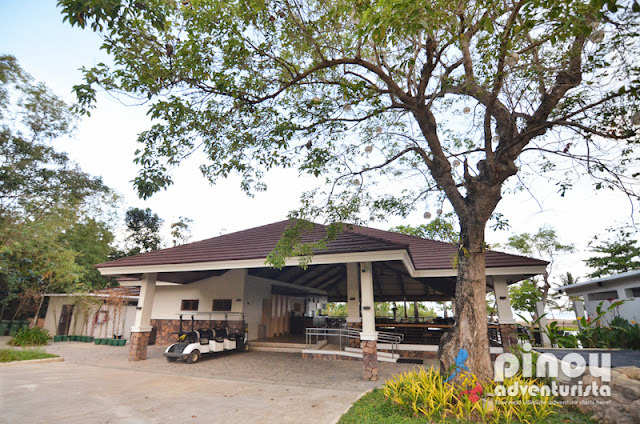 The fastest and easiest way to get to Solina Beach and Nature Resort is via Roxas City Airport. If you're coming from Manila, just take a one-hour flight to Roxas City and just an hour ride via van, you'll get to the town of Carles. Since it is located in the Northeastern part of Panay Island, it's actually nearer Roxas City than Iloilo City. I always recommend that if you want to visit Gigantes Group of Islands, go there via Roxas City. For convenience and comfort, Solina Resort also has a van that could fetch you from the airport and bring you directly to the resort. I suggest that you contact the resort before going there to arrange your travel to Carles. Solina Beach and Nature Resort is one of the most recommended resorts in Carles, Iloilo. 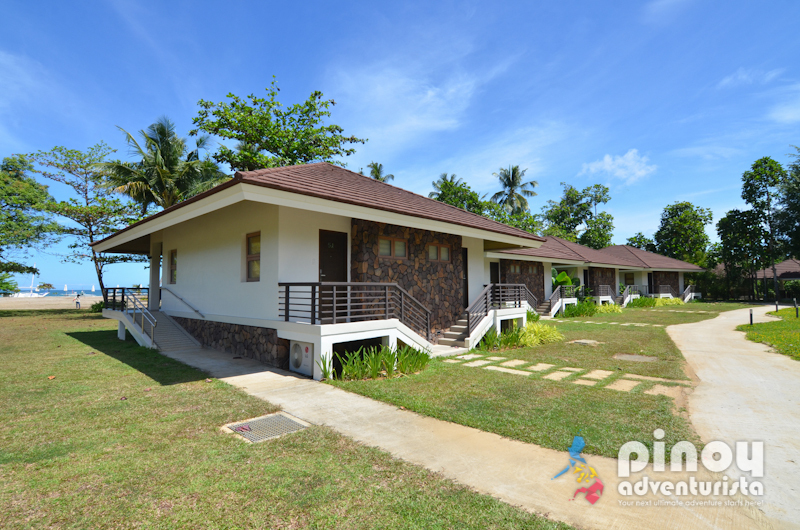 It is the first and only high-end beachfront resort that you can find in this quiet town. The resort is a 7.8 hectares property, offering its guests with a wide array of nature-inspired amenities and activities that couples, families and group of friends will surely enjoy. They offer quality service and luxury accommodation that will you and your loved ones will surely enjoy. 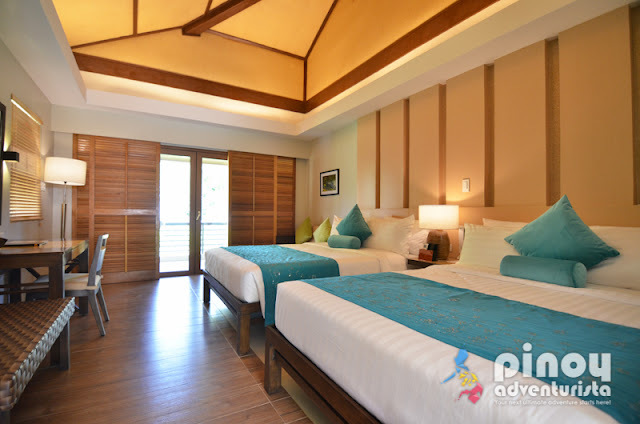 The resort's facilities and amenities provide a very good first impression and it does not disappoint. From the cabin tents and villas we stayed in, to the lovely swimming pool, and the restaurant, everything are just so nice! They have a stylish pool that is soooo Instagram-worthy. 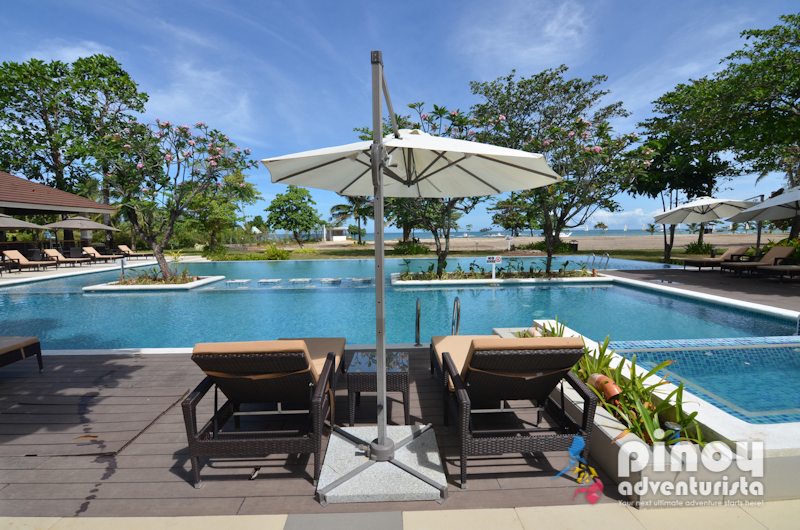 Get your OOTDs ready and create your own fun photo-shoots while enjoying the pool. 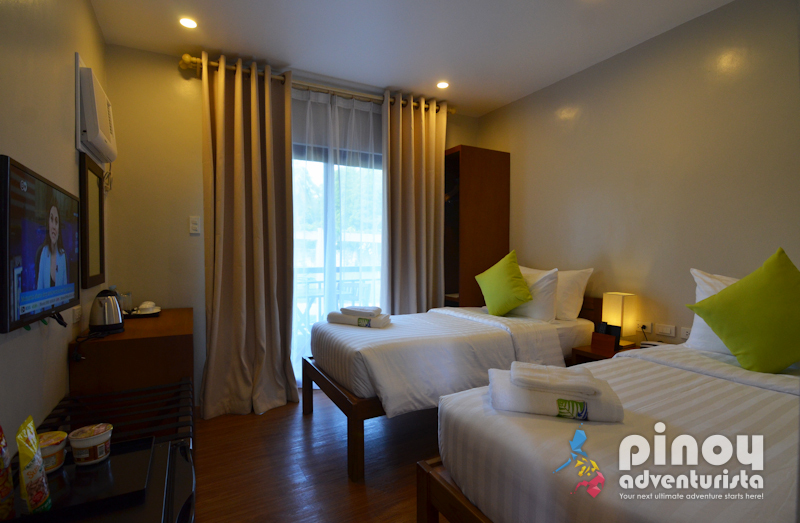 Rooms are spacious enough to make you comfortable during your stay. 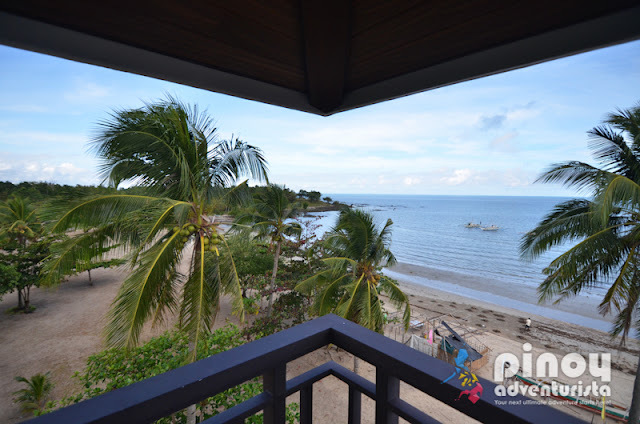 It has an amazing view to help you relax and achieve that peace of mind you deserve while on a vacation. 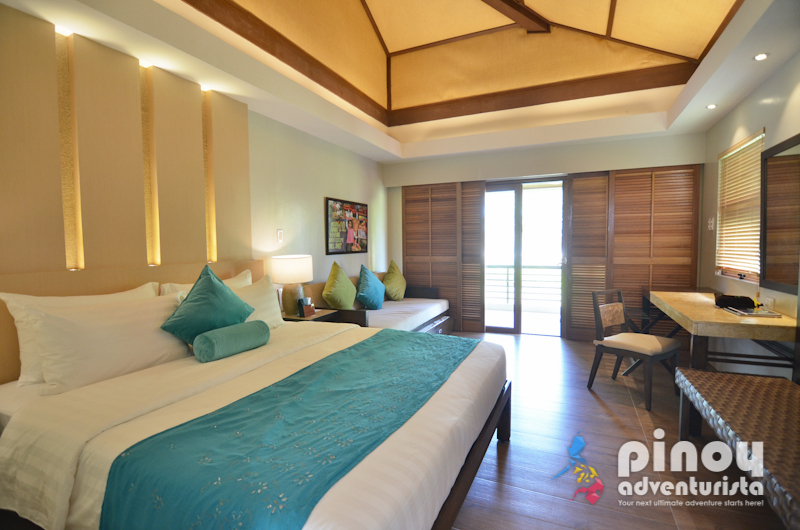 Room categories are different from each another, giving you the best experience that will suit your taste. You can choose depending on your needs, desire, and budget. 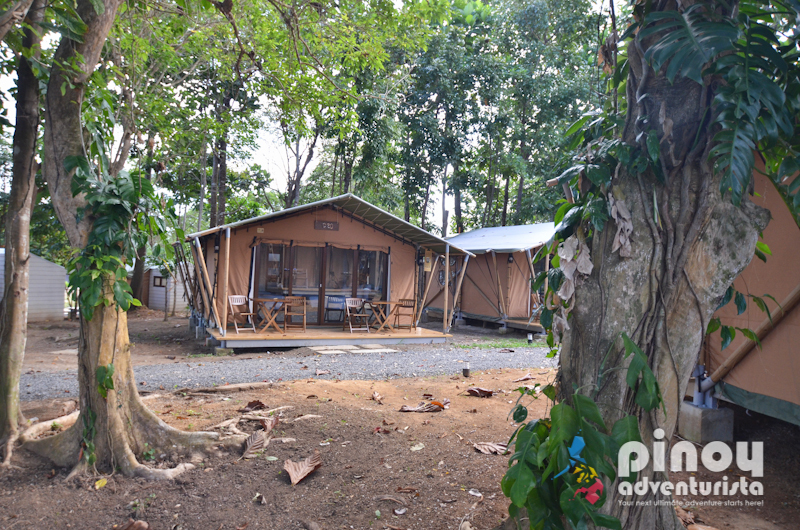 They have villas for families and groups, pods for couples, and glamping tents for the adventure-seekers. 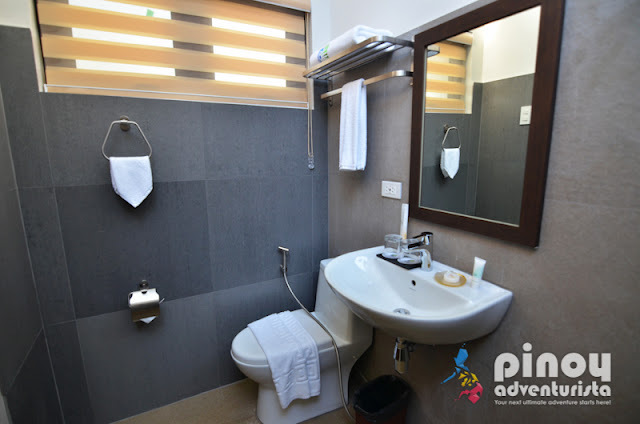 All are equipped with amenities and facilities needed for a relaxing and comfortable stay. 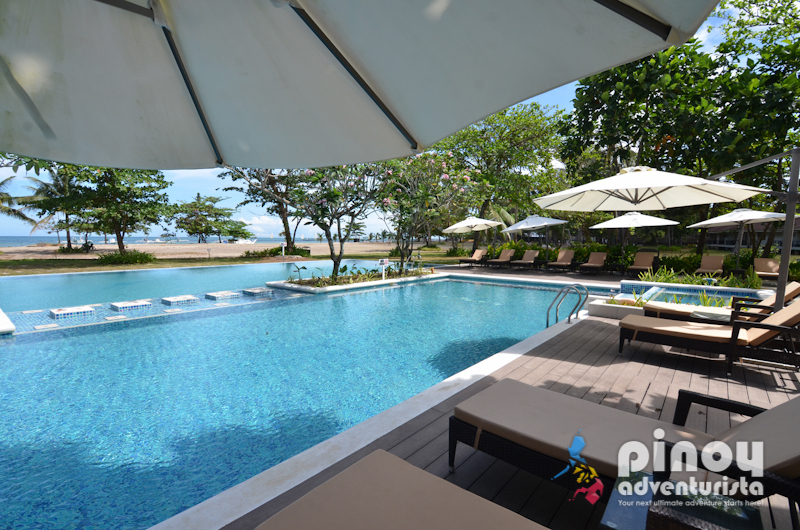 Balay is a luxury villa that is ideal for family or group of friends. It is categorized in to two types - the Hari and Reyna. Both villas are fully air-conditioned, has spacious, well-lit and clean toilet and bath with hot and cold shower features, a 32 Ultra HD curved TV that is connected to a cable satellite, luggage rack, work desk, a small kitchenette, and a mini bar with coffee and tea-making equipment. 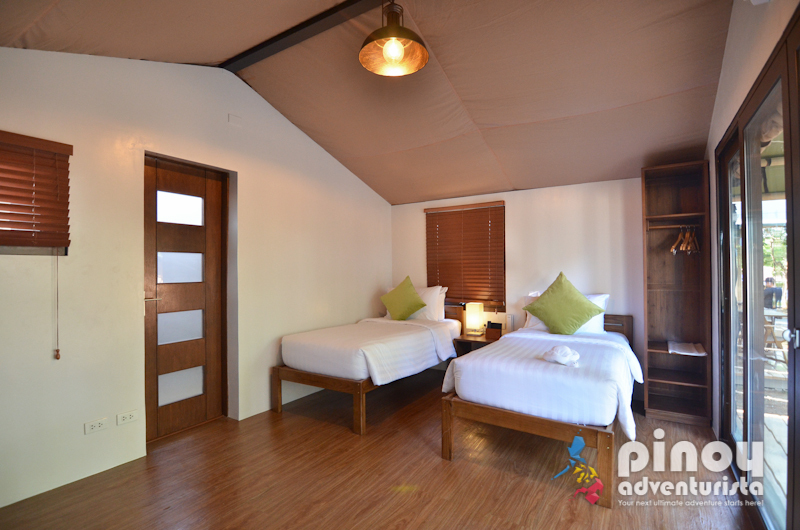 The only difference is that the Reyna Villa has 2 queen-sized beds while the Hari Villa has 1 king-sized bed and 1 daybed. 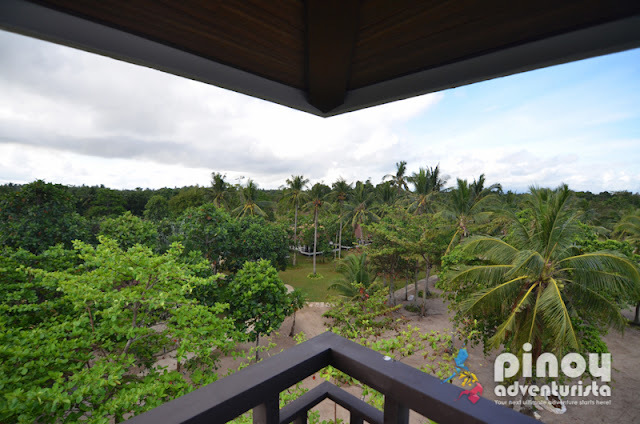 What I love most about the villas is the spacious veranda at the back which gives an amazing view of the resort, the swimming pool, and the beach. This is our favorite part of the room where we spent most of our time just hanging around while enjoying the stunning view of nature. 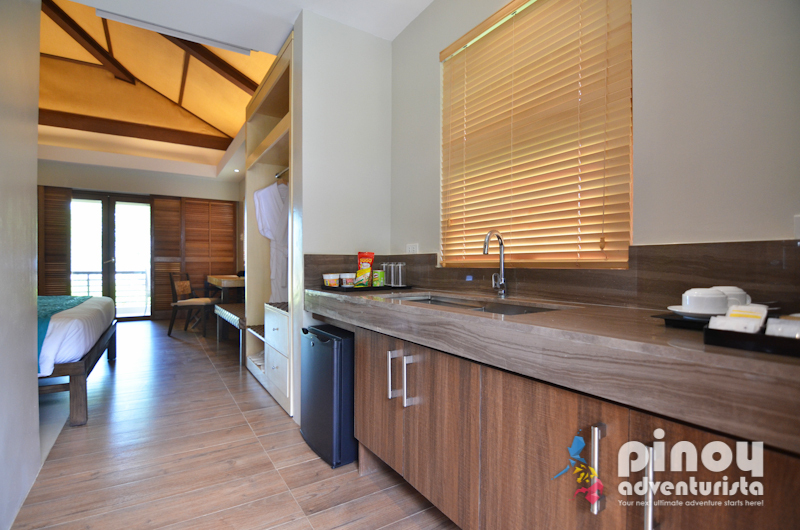 Higdaan is the most affordable accommodation in Solina. This is often booked by a couple who wants a budget-friendly room without suffering its quality. 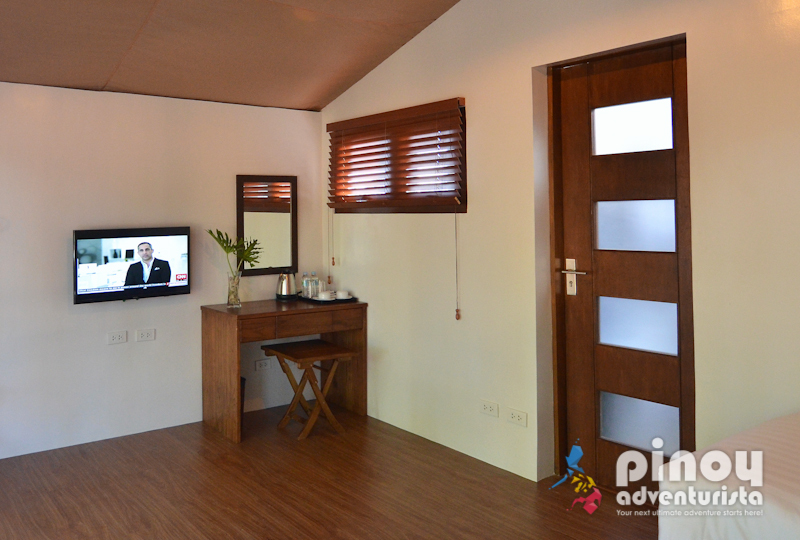 The Higdaan Room is air-conditioned pods with two single beds. It also has cable TV, a small veranda, and an en suite toilet and bath with hot and cold shower. 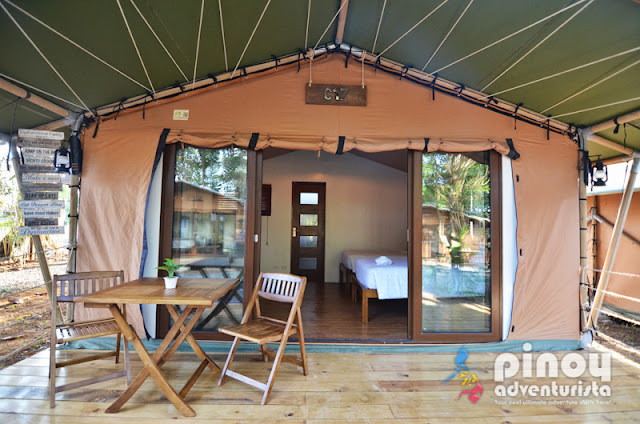 Kamalig are luxurious and spacious glamping tents that are categorized into three different types - Reyna, Duwa, and Apat. All Kamalig rooms are fully air-conditioned with cable tv, and an en suite toilet and bath with hot & cold shower feature. The only difference is the tent's capacity. Reyna has a single bed, Duwa has two single beds, and Apat has four single beds. 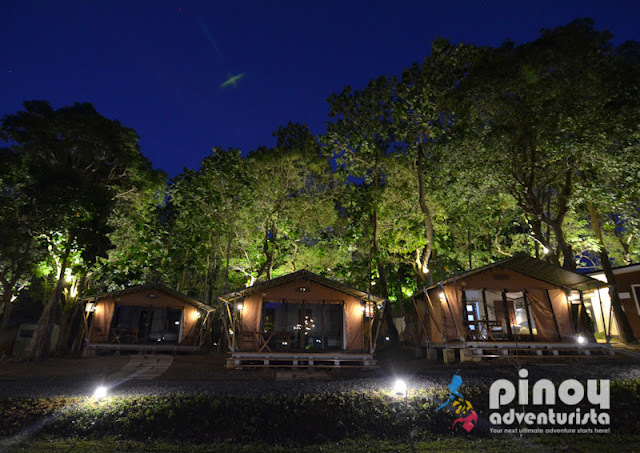 This is perfect for anyone who wants to experience camping in the middle of a lush forest, yet having the luxury and convenience of a resort. 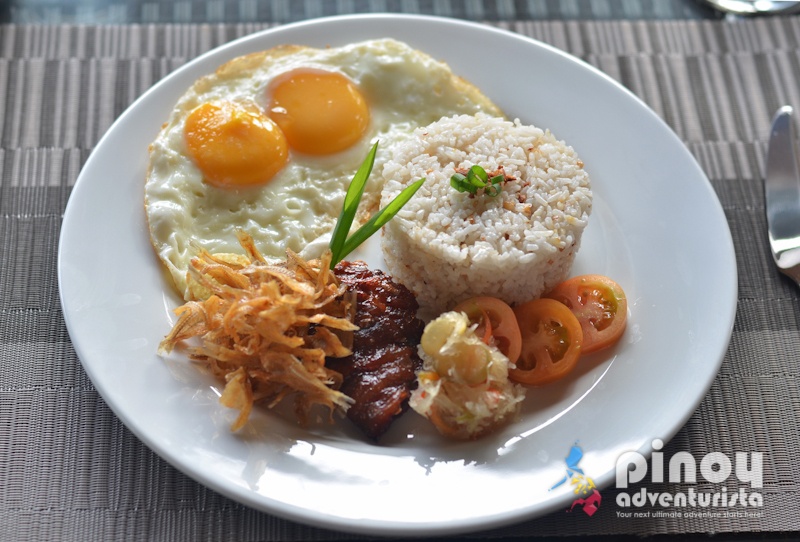 Solina has a full-service restaurant called Angga that serves both Filipino and International dishes. 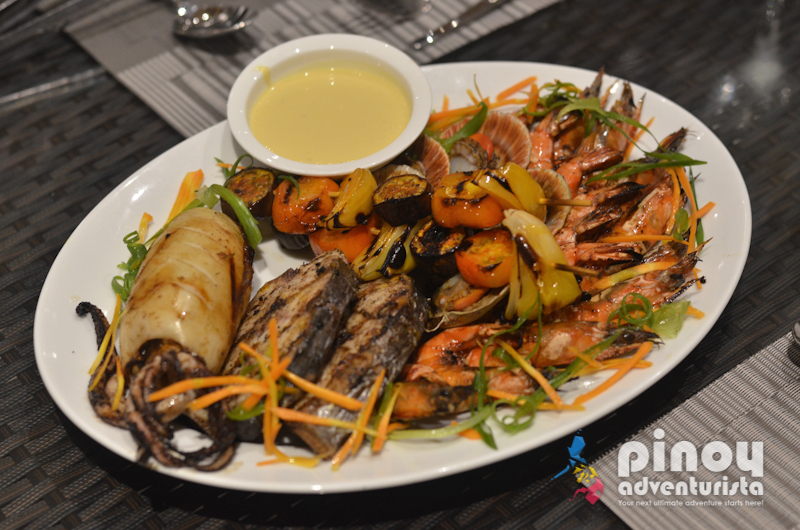 Short for "Palangga" which is an Ilonggo term of endearment, the restaurant’s highlights are the fresh seafood they offer in their menu. 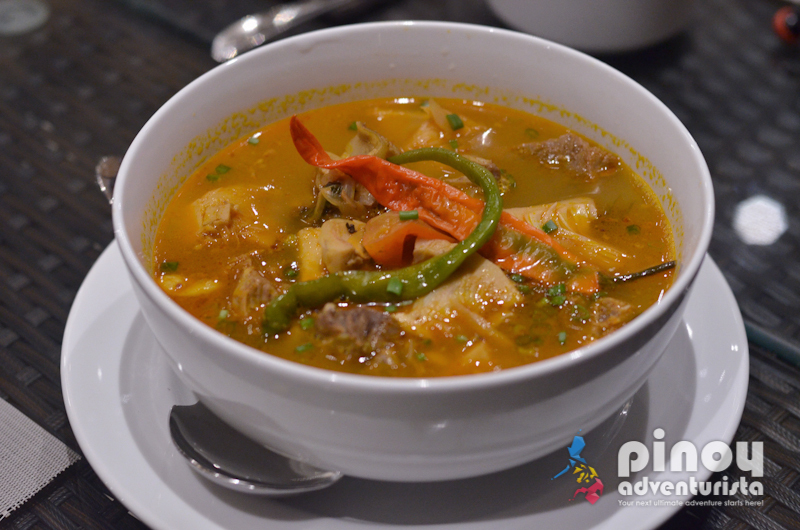 They also boast of their delectable Ilonggo dishes that are perfect especially if it is your first time visiting the Iloilo. Waking up refreshed and rejuvenated, we went to the resort's in-house restaurant for the complimentary breakfast. 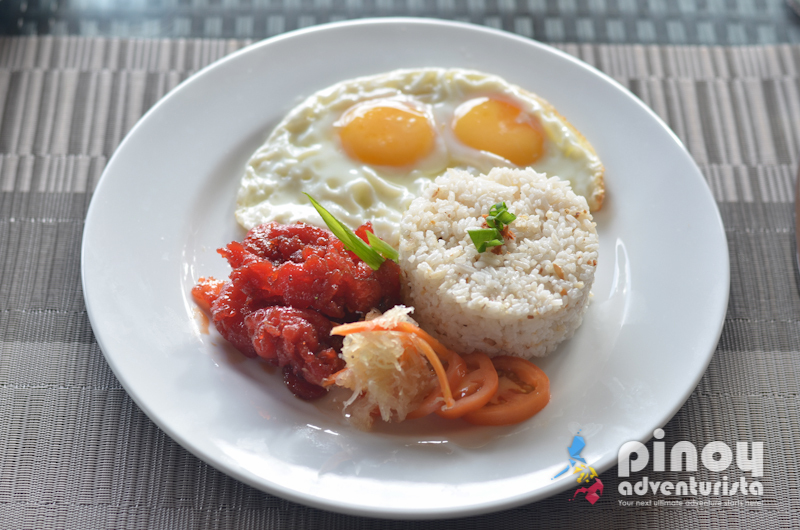 Every booking at Solina Beach and Nature Resort comes with your choice of a complimentary set breakfast such as FIlipino and Continental breakfast. 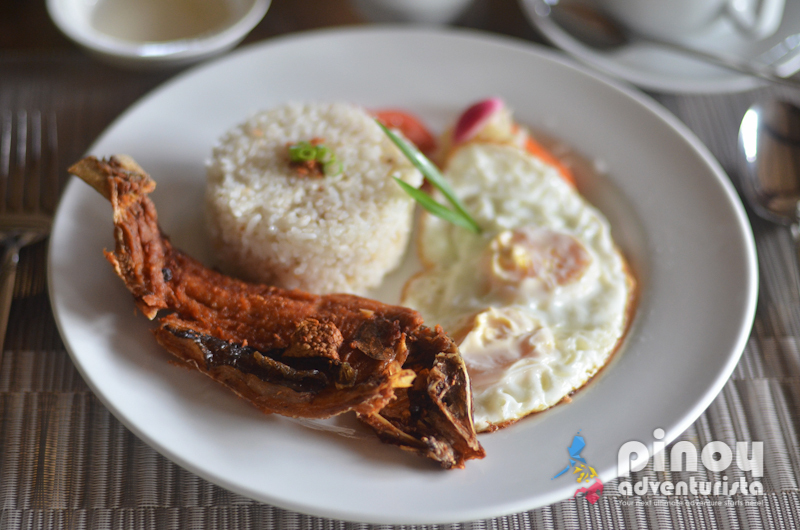 My favorite is their Ilonggo Breakfast which is composed of garlic rice, eggs, dilis and fish tocino. Yummmm! For lunch and dinner, you may also check out their wide array of carefully-selected dishes, prepared by their in-house chef. 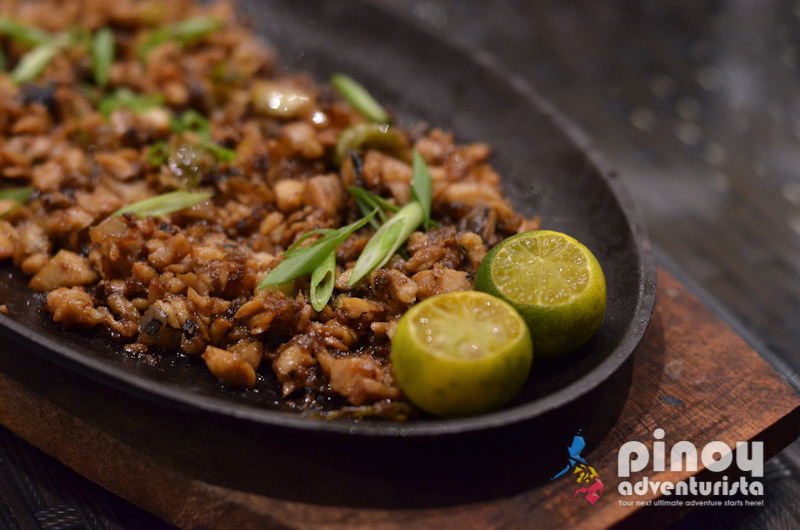 My top three favorites are the Seafood Platter, Bangus Sisig, and the Beef Luaya. 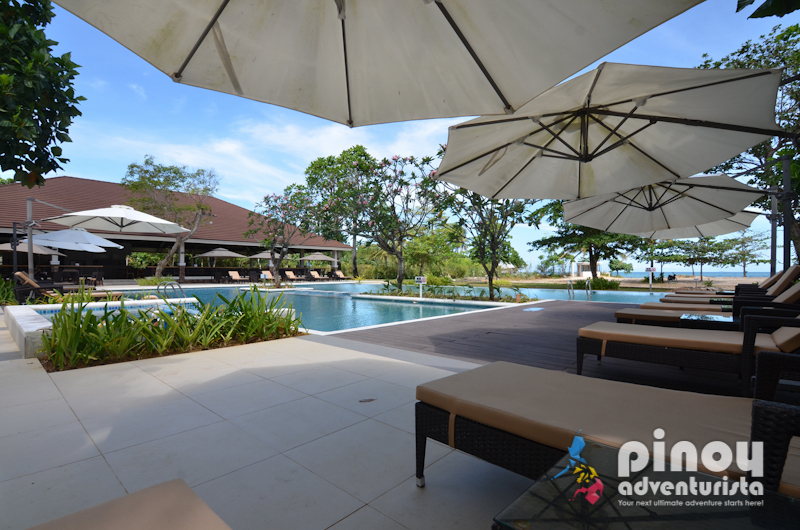 Solina Resort has a lovely swimming pool with a stunning view of the lush gardens, and the beach. 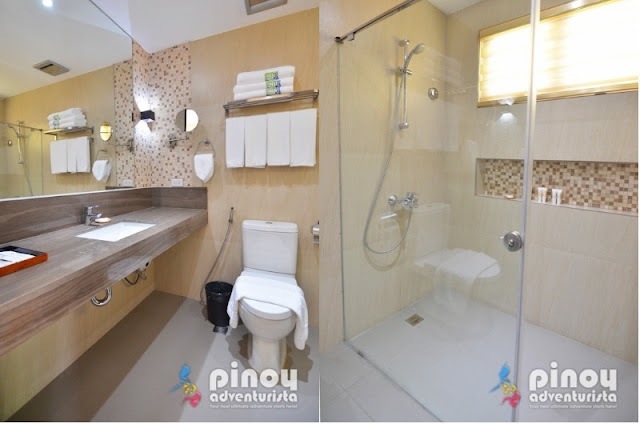 It also has a Jacuzzi perfect for relaxation, and a kiddie pool for your little ones. For day trippers, they also offer spacious cabanas ideal for family and group picnic and get-together. The swimming pool is so nice and kept very clean. It has day beds and some tables scattered around where you could eat or have some drinks while enjoying the pool. This is the perfect spot to relax, read a book and enjoy the resort's lush and tropical surroundings while enjoying an afternoon swim. 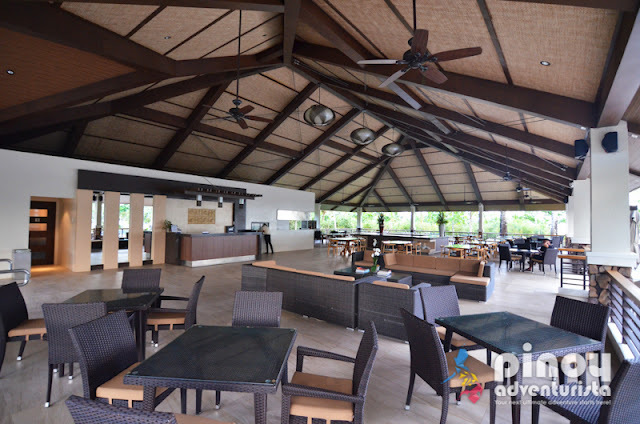 Solina Resort has a soon to be opened beach tower bar that offers wide choices of drinks. 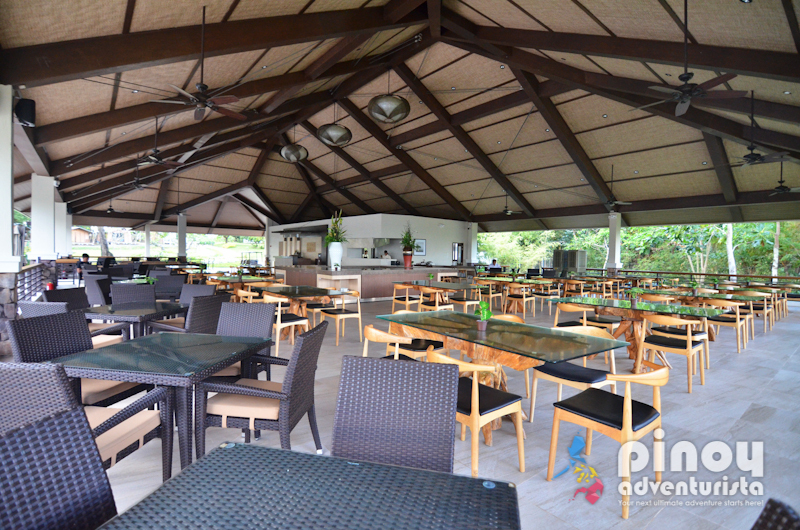 Here, you can enjoy with your friends and loved ones and chill while having a great view of the beach. This is also a perfect spot to watch the sunset while having some cocktails. 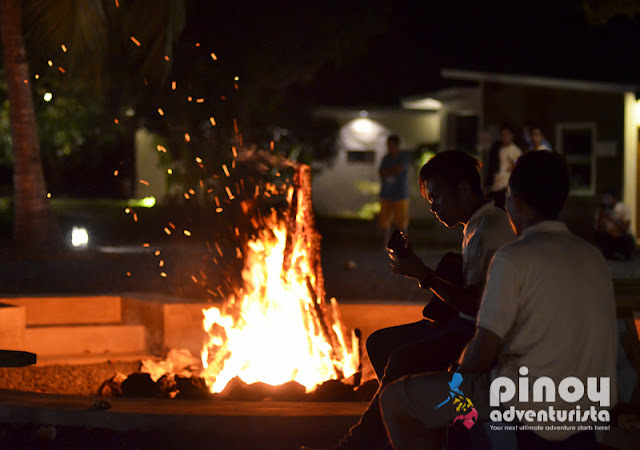 There are different activities that you can try during your stay. 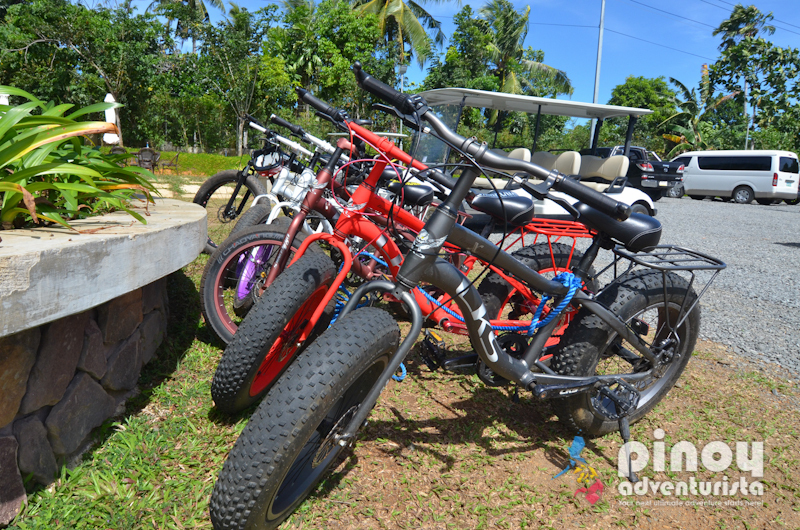 You can rent a bicycle and stroll around the resort and breathe some fresh air. Bicycles are free to use for all the guest. 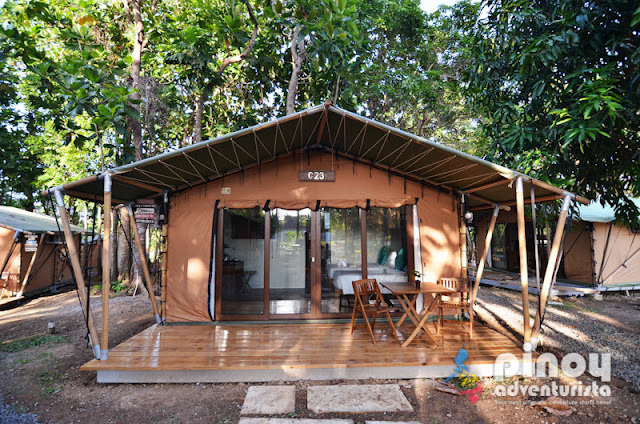 And they also have a small aviary and an eco-friendly bonfire that is available upon request. 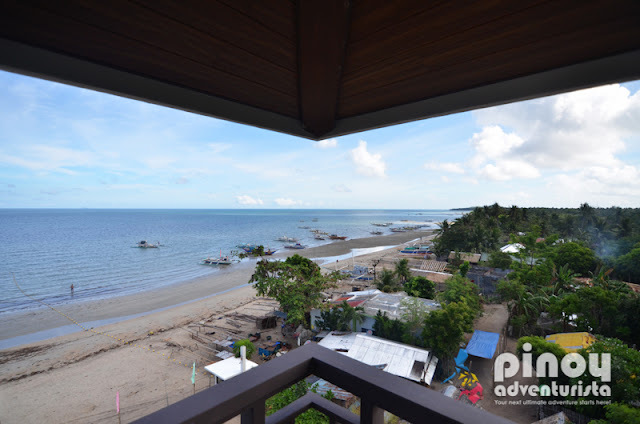 For beach activities, they have a paraw boat, kayaks, and banana boat for guests to enjoy. The resort will soon have a gym if you want to burn some fats even while on vacation, a clinic for your safety, and a spa for relaxation after a day of island hopping in Gigantes Group of Islands. As the resort is huge, gold carts are also available for your convenience. If you're too lazy to walk, just call the front desk and the gold cart will fetch you and bring you to the different parts of the resort. Overall, we had an awesome and memorable stay at Solina Beach and Nature Resort. If you're looking for a peaceful and relaxing vacation after exploring the Gigantes Group of Islands, Solina Resort is definitely the best place to stay in Carles Iloilo. The serene and tranquil environment, delicious food, commendable customer service, and the wide array of resort amenities and facilities will certainly take you to a memorable vacation like no other. Two thumbs up! Contact NUmbers: 0917-110-8344 for Globe and 0920-949-0557 for Smart. 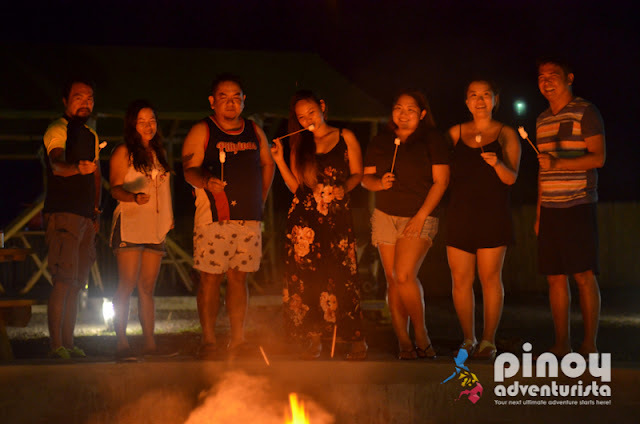 For Gigantes Group of Island Tour, you may contact Las Islas Travel and Tours at info@lasislas.ph or call them at +63-36-521-0725, +63 917-709-3856, +63 939-534-0828. Awesome, beautiful resort in Iloilo! Hello! Just wondering if you have any idea how much a meal costs in their resto? Are they budget-friendly? Also, are there restos outside the hotel? Thanks!